Since we just celebrated the great Solemnity of Mary, the Mother of God on January 1, for this week’s “Mondays with Mary” I want to share with you a major excerpt from a homily given by Pope Benedict XVI (now informally known as “Fr. Benedict” – his request) on January 1, 2008. 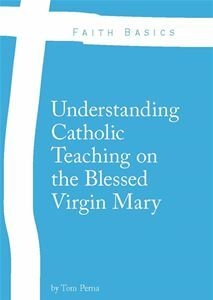 Drawing from his extensive knowledge of biblical history, exegetical knowledge, and the Doctors of the Church, specifically, St. Augustine of Hippo, Pope Benedict XVI, draws for us an excellent understanding of Mary’s divine motherhood as the Theotokos. Our thoughts now turn spontaneously to Our Lady, whom we invoke today as the Mother of God. It was Pope Paul VI who moved to 1 January the Feast of the Divine Motherhood of Mary, which was formerly celebrated on 11 October. Indeed, even before the liturgical reform that followed the Second Vatican Council, the memorial of the circumcision of Jesus on the eighth day after his birth – as a sign of submission to the law, his official insertion in the Chosen People – used to be celebrated on the first day of the year and the Feast of the Name of Jesus was celebrated the following Sunday. We perceive a few traces of these celebrations in the Gospel passage that has just been proclaimed, in which St Luke says that eight days after his birth the Child was circumcised and was given the name “Jesus”, “the name given by the Angel before he was conceived in [his Mother’s]… womb” (Lk 2: 21). Today’s feast, therefore, as well as being a particularly significant Marian feast, also preserves a strongly Christological content because, we might say, before the Mother, it concerns the Son, Jesus, true God and true Man. The Apostle Paul refers to the mystery of the divine motherhood of Mary, the Theotokos, in his Letter to the Galatians. “When the time had fully come”, he writes, “God sent forth his Son, born of woman, born under the law” (4: 4). We find the mystery of the Incarnation of the Divine Word and the Divine Motherhood of Mary summed up in a few words: the Virgin’s great privilege is precisely to be Mother of the Son who is God. The most logical and proper place for this Marian feast is therefore eight days after Christmas. Indeed, in the night of Bethlehem, when “she gave birth to her first-born son” (Lk 2: 7), the prophesies concerning the Messiah were fulfilled. “The virgin shall be with child and bear a son”, Isaiah had foretold (7: 14); “Behold, you will conceive in your womb and bear a son”, the Angel Gabriel said to Mary (Lk 1: 31); and again, an Angel of the Lord, the Evangelist Matthew recounts, appeared to Joseph in a dream to reassure him and said: “Do not fear to take Mary for your wife, for that which is conceived in her is of the Holy Spirit; she will bear a son” (Mt 1: 20-21). The title “Mother of God”, together with the title “Blessed Virgin”, is the oldest on which all the other titles with which Our Lady was venerated are based, and it continues to be invoked from generation to generation in the East and in the West. 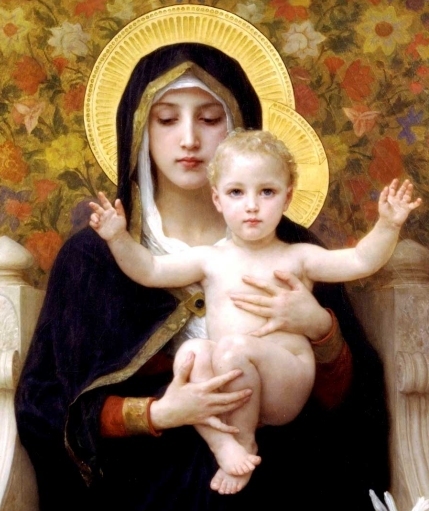 A multitude of hymns and a wealth of prayers of the Christian tradition refer to the mystery of her divine motherhood, such as, for example, a Marian antiphon of the Christmas season, Alma Redemptoris mater, with which we pray in these words: “Tu quae genuisti, natura mirante, tuum sanctum Genitorem, Virgo prius ac posterius – You, in the wonder of all creation, have brought forth your Creator, Mother ever virgin”. Dear brothers and sisters, let us today contemplate Mary, ever-virgin Mother of the Only-Begotten Son of the Father; let us learn from her to welcome the Child who was born for us in Bethlehem. If we recognize in the Child born of her the Eternal Son of God and accept him as our one Saviour, we can be called and we really are children of God: sons in the Son. The Apostle writes: “God sent forth his Son, born of woman, born under the law, to redeem those who were under the law, so that we might receive adoption as sons” (Gal 4:4). The Evangelist Luke repeats several times that Our Lady meditated silently on these extraordinary events in which God had involved her. We also heard this in the short Gospel passage that the Liturgy presents to us today. “Mary kept all these things, pondering them in her heart” (Lk 2: 19). The Greek verb used, sumbállousa, literally means “piecing together” and makes us think of a great mystery to be discovered little by little. Although the Child lying in a manger looks like all children in the world, at the same time he is totally different: he is the Son of God, he is God, true God and true man. This mystery – the Incarnation of the Word and the divine Motherhood of Mary – is great and certainly far from easy to understand with the human mind alone. Yet, by learning from Mary, we can understand with our hearts what our eyes and minds do not manage to perceive or contain on their own. Indeed, this is such a great gift that only through faith are we granted to accept it, while not entirely understanding it. And it is precisely on this journey of faith that Mary comes to meet us as our support and guide. She is mother because she brought forth Jesus in the flesh; she is mother because she adhered totally to the Father’s will. St Augustine wrote: “The divine motherhood would have been of no value to her had Christ not borne her in his heart, with a destiny more fortunate than the moment when she conceived him in the flesh” (De Sancta Virginitate, 3, 3). And in her heart Mary continued to treasure, to “piece together” the subsequent events of which she was to be a witness and protagonist, even to the death on the Cross and the Resurrection of her Son Jesus. Dear brothers and sisters, it is only by pondering in the heart, in other words, by piecing together and finding unity in all we experience, that, following Mary, we can penetrate the mystery of a God who was made man out of love and who calls us to follow him on the path of love; a love to be expressed daily by generous service to the brethren. May the new year which we are confidently beginning today be a time in which to advance in that knowledge of the heart, which is the wisdom of saints. Let us pray, as we heard in the First Reading, that the Lord may “make his face to shine” upon us, “and be gracious” to us (cf. Nm 6: 24-7) and bless us. We may be certain of it: if we never tire of seeking his Face, if we never give in to the temptation of discouragement and doubt, if also among the many difficulties we encounter we always remain anchored to him, we will experience the power of his love and his mercy. May the fragile Child who today the Virgin shows to the world make us peacemakers, witnesses of him, the Prince of Peace. Amen!